Massive Governmental and Foreign Investment. The Moroccan government is currently spending over $12.2 billion dollars developing Morocco’s tourism industry and its supporting infrastructure. From major new road and rail links and massive airport upgrades to modernise port facilities and a tunnel linking Morocco to Spain via the Straits of Gibraltar. King Mohammad VI has created a huge project to invest massive funds into Morocco with the initial aim at increasing tourism. As an African state, it has, among its objectives, the realisation of African unity. 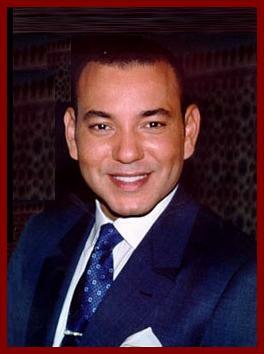 Aware of the need of incorporating its work within the frame of the international organisations of which it has become an active and dynamic member, the Kingdom of Morocco fully adheres to the principles, rights and obligations arising from the charters of such organisations, as it reaffirms its determination to abide by the universally recognised human rights. Likewise, it reaffirms its determination to continue its steady endeavours towards the safeguard of peace and security in the world. Article 1: Morocco shall have a democratic, social and constitutional Monarchy. Article 2: Sovereignty shall be that of the People who shall exercise it directly, by means of referendum, or indirectly, through the constitutional institutions. Article 3: Political parties, unions, district councils and trade chambers shall participate in the organisation and representation of the citizens. There shall be no one-party system. Article 4: The law shall be the supreme expression of the will of the Nation. All shall abide by it. The law shall have no retroactive effect. Article 5: All Moroccan citizens shall be equal before the law. Article 7: The emblem of the Kingdom shall be a red flag with a five-pointed green star in the center. The motto of the Kingdom shall be: GOD, THE COUNTRY, THE KING. Article 8: Men and women shall enjoy equal political rights. Any citizen of age enjoying his or her civil and political rights shall be eligible to vote. freedom of association, and the freedom to belong to any union or political group of their choice. No limitation, except by law, shall be put to the exercise of such freedoms. Article 10: No one shall be arrested, put into custody or penalised except under the circumstances and procedures prescribed by law. The home shall be inviolable. Search warrant shall be issued and investigation ordered under the conditions and procedures prescribed by law. Article 11: Secrecy of personal correspondence shall be preserved. Article 14: The right of strike shall be guaranteed. Conditions and ways of exercising such a right shall be defined by an organic law. Article 16: All citizens shall contribute to the defence of the Country. Article 17: All citizens shall, according to their contributory power, bear public costs which shall be enacted and allocated only by the law, and in the manner stipulated in the provisions of the present Constitution. Article 21: The King shall be considered minor until he turns sixteen. During the King's phase of minority, a Regency Council shall assume the powers of the constitutional rights of the Crown, with the exception of those pertaining to the revision of the Constitution. The Regency Council shall serve as an advisory board to the King until he turns twenty. The Regency Council shall be presided over by the First President of the Supreme Court. It shall include, in addition to its Chairman, the President of the House of Representatives, the President of the House of Counsellors, the Chairman of the Rabat and Salé Ulama Council (of scholars), and ten dignitaries appointed with the King's own accord. Rules of procedure of the Regency Council shall be governed by an organic law. Article 22: The King shall be entitled to a Civil List. Article 23: The person of the King shall be sacred and inviolable. Article 25: The King shall preside over Cabinet meetings. Article 26: The King shall promulgate a definitively adopted law within the thirty days following its receipt by the Government. Article 28: The King shall have the right to deliver addresses to the Nation and to the Parliament. The messages shall be read out before both Houses and shall not be subject to any debate. Article 29: The King shall, by Royal Decrees, exercise the statutory powers explicitly conferred upon him by the Constitution. Royal Decrees shall be countersigned by the Prime Minister, with the exception of those provided for in Articles 21 (Paragraph 2), 24 (paragraphs 1, 3 and 4), 35, 69,71, 79, 84, 91, 99 and 105. Article 31: The King shall accredit ambassadors to foreign nations and international organisations. Ambassadors or representatives of international organisations shall be accredited to him. The King shall sign and ratify treaties. However, treaties committing State finances shall not be ratified without having been approved under the law. Treaties likely to affect the constitutional provisions shall be approved in accordance with the procedures prescribed for the modification of the Constitution. Article 33: The King shall appoint magistrates in accordance with the conditions prescribed in Article 84. Article 34: The King shall exercise the right of granting pardon. Article 36: The Parliament shall be made up of two Houses, the House of Representatives and the House of Counsellors. Members of the Houses shall hold their mandate from the Nation. Their right to vote shall be personal and cannot be delegated. Article 37: Members of the House of Representatives shall be elected for a six- year term by direct universal suffrage. The legal legislative period shall end at the opening of the October session in the fifth year following the election of the House. The number of representatives as well as the voting system, eligibility requirements, incompatibility cases, legal contentions concerning elections shall be set out in an organic law. The President shall be elected first at the beginning of the legislative period, then at the April session in the third year of the said period and for the remaining portion thereof. Members of the Board shall be elected for one year; their number shall be in propotion to their respective groups. Article 39: No member of Parliament shall be prosecuted, arrested, put into custody or brought to trial as a result of expressing opinions or casting a vote while exercising office functions, except when the opinions expressed may be injurious to the monarchical system and the religion of Islam or derogatory to the respect owed the king. During parliamentary sessions, no member of Parliament shall be subject to prosecution or arrest for criminal charges or felonies, besides those mentioned in the preceding paragraph, without permission from the House except flagrante delicto. Outside parliamentary sessions, no member of Parliament shall be subject to arrest without permission from the Board of the House, except flagrante delicto, or in the case of authorised prosecution or final judgement. The imprisonement or prosecution of a member of Parliament shall be suspended if so required by the House, except flagrante delicto or in the case of authorised prosecution or final judgment. Article 40: The Parliament shall hold its meetings during two sessions a year. The King shall preside over the opening of the first session which shall begin on the second Friday in October. The second session shall begin on the second Friday in April. When the Parliament convenes for at least three months during one session, the session may be adjourned by decree. Article 42: Cabinet members may attend the meetings of each House and those of the committees thereof; they shall, in this respect, have the right to commission their own assistants. Apart from the standing committees referred to in the preceding paragraph, parliamentary fact-finding committees may be established on the King's initiative or upon the request of the majority of the members of one of the two Houses and within each House, with the mission of inquiring about specific facts and submitting findings thereon to that House. There shall be no fact-finding committees in cases involving prosecutions, and as long as these are being conducted. The mission of any fact-finding committee which may be established shall end with the opening of the judicial investigation pertaining to the instances bringing about the establishment thereof. Fact-finding committees shall by nature be temporary. Their mission shall end with the submission of their reports. The functioning of these committees shall be governed by an organic law. Article 44: Each House shall establish and vote on its own Rules of Procedure. These shall not, however, go into effect until they are declared by the Constitutional Council as consistent with the provisions of this Constitution. Article 45: Legislation shall be voted on by Parliament. For a limited period of time, and for a defined purpose, the Government may be empowered by law to take, by decree, measures normally falling within the purview of the law. Decrees shall become effective immediately after the publication thereof; however, they shall be submitted, for ratification, to the Parliament within the time limits set by the empowering law. Should either House be dissolved, such a law shall become void. the nationalisation of enterprises or the transfer thereof from the public to the private sector. Article 47: Matters outside the purview of legislature shall come under statutory jurisdiction. Article 48: Legislated bills may be amended by decree, with the consent of the Constitutional Council and when they fall within the jurisdiction of the authority holding statutory power. Article 49: A state of martial law may be declared by Royal Decree for a period of thirty days. This duration may be extended by law only. Article 50: The appropriation law shall be voted on by the Parliament under conditions prescribed by an organic law. Capital expenditures resulting from developement plans shall be voted on only at the time the Parliament approves such plans. These expenditures shall automatically be extended throughout the period of the plan. The Government alone shall have the prerogative to submit draft bills aimed at modifying programms thus adopted. If, by the end of the fiscal year , the budget is not voted on or is not promulgated as a result of its submission to the Constitutional Council in accordance with Article 81, the Government shall, by decree and in accordance with the budgetary proposals submitted for approval, be entitled to allocate funds necessary for the operation of the public services and the exercise of the functions thereof. In such a case, revenues shall be collected in accordance with the legislative and statutory prescriptions in force, except, however, those revenues to be cancelled under the proposed appropriation law. As for those to be cut down under the same law, they shall be collected at the proposed new rate. Article 51: Proposals and amendments introduced by Members of Parliament shall not be acceptable when the adoption thereof might affect the proposed appropriation law by causing a decrease in public resources, an increase in a public expenditure or the creation of a new one. Article 53: The Government may declare the unsuitability of any proposal or amendment considered outside the purview of the legislative power. In case of disagreement, the Constitutional Council shall take action within a period of eight days upon request of one of the two Houses or the Government. Article 54: Draft bills and proposals shall be examined by the acting committees whose work shall continue during the interval between the sessions. Article 55: During the recess periods, the Government may, in agreement with the committees concerned, in both Houses, adopt ordinances which shall be submitted, for ratification, during the following regular session of Parliament. The draft bill shall be tabled in one of the two Houses. It shall be considered successively by the relevant committees in both Houses in order to reach a joined decision within a period of six days. In case such a decision is not reached, steps shall be taken at the request of the Government to set up a joint committee with equal representation; it shall have three days to work out a joint decision for submission to the relevant committees. The agreement mentioned in the first paragraph of the present article shall be considered as refused if the joint committee with equal representation has not reached a decision within the time limits mentioned above or if the decision proposed by the said committee is not endorsed by the relevant committees within a period of four days. Article 56: The Board of each House shall prepare the agenda of the House. Priority shall be given, in the order defined by the Government, to the discussion of draft bills it introduces and proposed laws accepted by it. One meeting per week shall, by priority, be reserved in each House for the questions of the members of the House and the Government's responses. The Government shall give a reply within twenty days after their receipt of the question. Article 57: Members of each House, as well as the Government, shall have the right to propose amendments. After the opening of the debates, the Government may object to the examination of any amendment not submitted, beforehand, to the acting committee concerned. If requested by the Government, the House in which the text under discussion was tabled shall take action by single vote on the whole or part of the bill under discussion. Only amendments proposed or accepted by the Government shall be considered. Article 58: Any draft bill or proposed bill shall be considered successively by the two Houses of Parliament, with a view to adopting an identical text. The House in which the draft bill is tabled first shall examine the text of the draft bill presented by the Government or the text of the proposed bill on the agenda. A house in which a bill already adopted by the other House is tabled, shall deliberate on the draft referred to it. If a draft bill or a proposed bill cannot be adopted after two readings in each House, or if the Government proclaims that the matter is urgent after only one reading in each House, the Government may call a meeting of the joint committee with equal representati on which shall propose a draft on the remaining provisions under discussion. The text drafted by the joint committee may be submitted by the Government to the Houses for adoption. No amendment shall be considered except with the approval of the Government. If the joint committee has not managed to adopt a joint bill or if the bill has not been adopted or if the bill has not been adopted by the two Houses, the Government may submit to the House of Representatives the draft bill or the proposed bill as modified, if necessary, in the light of amendments reached during parliamentary debates and taken up by the Government. The House of Representatives shall proclaim final adoption of the bill only with the absolute majority of its members. Provisions adopted by the House of Representatives in compliance with article 75 ,paragraph 2, shall be considered as endorsed by the absolute majority of the House. Organic laws shall be adopted and amended under the same conditions. However the draft bill or the proposed bill for an organic law shall not be submitted for discussion or voting at the First House in which it is to be tabled until the end of a ten -day period following its registration. Organic laws pertaining to the House of Counsellors shall be put to the vote under the same conditions in both Houses. Organic laws shall not be promulgated until the constitutional Council issues a decision on their conformity with the Constitution. Article 67: The King may request a second reading by the two Houses of any draft bill or proposed law. Article 68: A second reading shall be requested in a message. Such a new reading shall not be refused. Article 69: After a second reading, the King may, by Royal Decree, submit any draft bill or proposed law to referendum, except in the case of those submitted for a new reading which shall have been adopted or rejected by a two-thirds majority of the members of each one of the two Houses. Article 70: The results of the referendum shall be binding upon all. Article 71: After consulting with the Presidents of the two Houses,and the Chairman of the Constitutional Council and addressing the Nation, the King may decree the dissolution of the two Houses or of one of them only. Article 72: The election of the new Parliament or the new House shall take place, at the latest, three months after such a dissolution. The King shall, in the meantime, exercise the powers lying with the Parliament in terms of law making, in addition to those conferred upon him by this Constitution. Article 73: When a House is dissolved, the one succeeding it shall not be dissolved until a year after its election. Article 74: The declaration of war shall be announced after notifying the House of' Representatives and the House of Counsellors. Article 75: The Prime Minister may engage the responsibility of the Government before the House of Representatives through a vote of confidence regarding a statement on a general policy or a proposal requesting the approval thereof. Confidence shall be withdrawn and a bill rejected only by an absolute majority vote of the Members of the House of Representatives. The vote shall be held three clear days after the matter of the vote of confidence has been raised. Withdrawal of confidence shall entail the resignation of the Government in a body. Article 77: The House of Counsellors may vote warning or censure motions against the Government. The warning motion must be signed by at least one third of the members of the House of Counsellors. It shall be voted by the absolute majority of the members of the House. Voting shall take place three clear days after the motion has been introduced. The text of the warning shall be sent forthwith by the President of the House of Counsellors to the Prime Minister who shall, within six days, present before the House of Counsellors, the Government's position concerning the reasons which prompted the warning. The government's statement shall be followed by a debate without a vote. The censure motion shall not be introduced unless it is signed by at least one third of the members of the House of Counsellors. It shall be approved only after a vote by a 2/3 majority of the members of the House. Voting shall take place three days after the motion has been introduced. The vote for censure shall entail the joint resignation of the Government. Should the Government be censured by the House of Counsellors, no other censure motion shall be introduced in the House of Counsellors before a year has elapsed. Article 78: A Constitutional Council shall be established. Article 79: The Constitutional Council shall be made up of six members appointed by the King for a nine -year period. Upon consultation with parliamentary groups, six other members shall be appointed for the same period, half of them by the President of the House of Representatives and the other half by the President of the House of Counsellors. A third of each category of members shall be renewed every three years. The chairman of the Constitutional Council shall be selected by the king among the members appointed by him. The Chairman and the members of the Counstitutional Council shall serve for a non renewable term of office. Article 80: An organic law shall govern the organisation and work of the Constitutional Council as well as the procedure it shall adopt, particularly with respect to deadlines set for referred disputes. Likewise, this organic law shall determine the functions which may not be compatible with that of Council member, the conditions of the first two renewals for a three-year term, as well as the procedure for replacing inactive members, either as a result of resignation or death during their term of office. Article 81: The Constitutional Council shall perform the functions assigned by the articles of the Constitution or the provisions of the organic laws. It shall furthermore decide on the validity of the election of the Members of Parliament and that of referendum operations. Organic laws - before promulgation - and the Rules of Procedure of each House - before implementation - shall be submitted to the Constitutional Council to look into their consistence with the Constitution. Before promulgation, laws may, for the same reason, be referred to the Constitutional Council by the King, the Prime Minister, the President of the House of Representatives, the President of the House of Counsellors or one-fourth of the members making up one House or the other. The Constitutional Council shall have one month to decide upon the special instances stated in the preceding two paragraphs. However, in case of emergency, the deadline may be reduced to eight days if so requested by the Government. Regarding the above mentioned instances, referring law to the Constitutional Council shall entail the suspension of the deadline of the promulgation thereof. No unconstitutional provision shall be promulgated or implemented. Decisions of the Constitutional Council shall, in no way, be put into question. They shall, furthermore, be binding upon all public authorities, administrative and judicial sectors. Article 82: The Judiciary shall be independent of the legislative and executive branches. Article 83: Sentences shall be passed and executed in the King's name. Article 84: Upon recommendations made by the Supreme Council of Magistracy, Magistrates shall be appointed by Royal Decrees. Article 85: Magistrates in the bench shall be irremovable. four representatives elected among magistrates of first degree courts. Article 87: The Supreme Council of Magistracy shall ensure the implementation of the guarantees granted magistrates regarding their promotion and discipline. Article 88: Members of the Government shall be penally responsible for crimes and felonies they may commit while exercising their functions. Article 89: They may be indicted by the two Houses of Parliament: and referred to the High Court of Justice for trial. Article 90: The proposed draft for indictment must be signed by at least a quarter of the members of the House in which it was tabled first. It shall be examined successively by the two Houses and shall be approved only when an identical vote is cast by each House by secret ballot and a two- third majority of its members with the exception of those members called upon to take part in conducting the prosecution and the investigation process and issuing the verdict. Article 91: The High Court of Justice shall consist of equal numbers of members elected from the House of Representatives and the House of Counsellors. Its President shall be appointed by Royal Decree. Article 92: An organic law shall determine the number of the High Court members, the method of their election and the Rules of Procedure to be adopted. Article 93: An Economic and Social Council shall be established. Article 94: The Economic and Social Council may be consulted by the Government, as well as the House of Representatives and the House of Counsellors on all matters of economic or social nature. It shall give its opinion on the general guidelines pertaining to the national economy and training programmes. Article 95: The constitution, organisation, prerogatives and rules of procedure of the Economic and Social Council shall be determined by an organic law. Article 96: The Audit Court shall be responsible for conducting overall supervision of the implementation of the budget. It shall ensure the sound conduct of receipt and expenditure operations and evaluate the management of agencies placed under its control by law. It shall also take action, when necessary, against violation of the rules governing such operations. Article 97: The Audit Courts shall provide assistance to Parliament and the government in its fields of competence as defined by the law. It shall report to the king on all its activities. Article 98: Regional Audit Court shall be responsible for checking the accounts and assessing the management of local governments and their groups. Article 99: The terms of reference, organisation and rules of procedure of the Audit Court and regional Audit Courts shall be determined by law. Article 100: The local government of the Kingdom shall consist of Regions, prefectures, provinces and communes. No other form of local government may be established except by law. Article 101: Local assemblies shall be elected to be responsible for the conduct of their affairs on the basis of democratic principles and in accordance with provisions defined by law. Governors shall carry out decisions by provincial, prefectoral and regional assemblies in accordance with the conditions set by the law. Article 102: In the provinces, prefectures and regions, governors shall represent the State and see to it that the law is enforced. They shall be responsible for the implementation of Government decisions and, to the end, for the management of local departments of Government agencies. Article 103: The king, the House of Representatives and the House of Counsellors: shall have the right to initiate a revision of the Constitution. The King shall have the right to submit, directly for referundum, the revision project he may initiate. Article 104: A proposal for revision submitted by one or more members of one of the two Houses shall be adopted only if voted on by a two-thirds majority of the members of the House concerned. The proposal shall be submitted to the other House which may adopt it by a two -thirds majority of its members. Article 105: Revision projects and proposals shall be submitted to the nation for referendum by Royal Decree. A revision of the Constitution shall be definitive after approval by referendum. Article 106: Neither the State system of monarchy nor the prescriptions related to the religion of Islam may be subject to a constitutional revision. Article 107: Pending the election of the Houses of Parliament provided for in the present Constitution, the current House of Representatives shall continue to discharge its duties, namely by passing the laws required for the setting up of the new Houses of Parliament, without prejudice to the implementation of the provisions of article 27. Article 108: Pending the setting up of the Constitutional Council whose membership shall be composed in accordance with the provisions of the present Constitution, the current Constitutional Council shall continue to discharge the duties conferred upon it by the Constitution and the organic laws.